Go Metro Gold Line to Walk for Hope LA! The 20th annual Walk for Hope L.A. to benefit research and treatment at the City of Hope is this Sunday — and it couldn’t be easier to reach via transit. 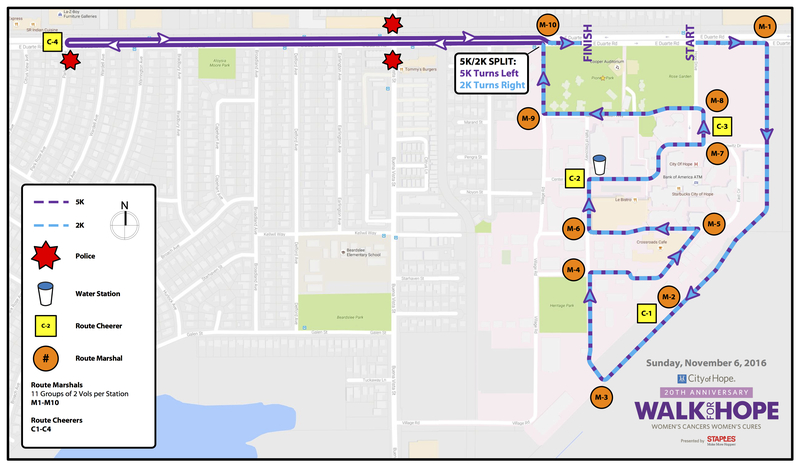 The Metro Gold Line’s Duate/City of Hope Station is just a few feet from the start line for both the 2k and 5K routes! The Walk for Hope raises money to fight women’s cancers with 10,000 participants expected. The City of Hope is one of the country’s premiere cancer treatment centers with the main campus in Duarte and satellite offices throughout Southern California. On Sundays, the Gold Line begins running at 4:20 a.m. and runs every 12 minutes. A regular fare is $1.75, which includes two hours of free transfers — if you don’t have a TAP card, buy one for $1 from TAP vending machines at every rail station and then load your fare (here’s how). The train ride from Union Station in downtown Los Angeles is about 40 minutes and it’s about 20 minutes from Old Pasadena and five minutes from Azusa. The complete Gold Line timetable is here and includes the bus lines serving each rail station. There is also free parking in garages at the Sierra Madre Villa Station, Arcadia Station, Monrovia Station, Irwindale Station and both Azusa stations (pro tip: the Sierra Madre Villa garage in eastern Pasadena is the largest). 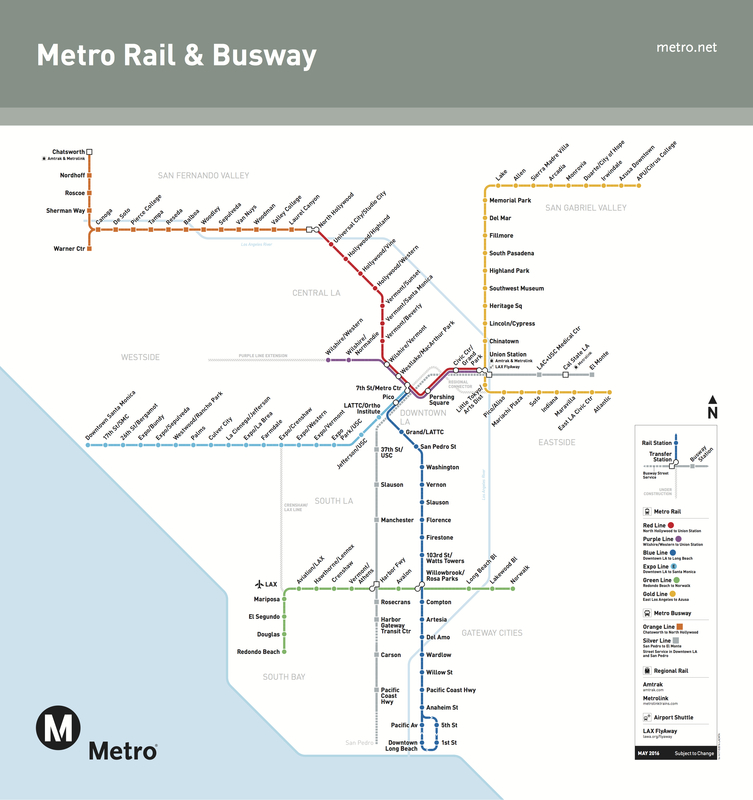 Below is the system map for those new to Metro Rail. Have a great walk and thank you in advance to everyone for riding the train and supporting the fight against cancer!